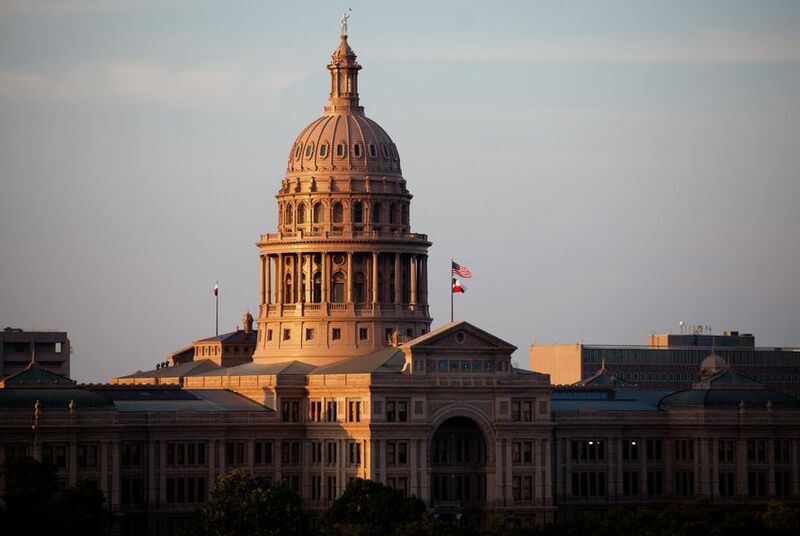 SAN ANTONIO — For most of a six-year legal battle, Texas and minority groups have squabbled over whether the Republican-dominated Legislature intentionally discriminated against Hispanic and black voters in redrawing the state’s House and congressional districts in 2011. This spring, a panel of federal judges ruled they did. But those maps never took effect. The court tweaked the boundaries during a chaotic 2012 election season so campaigning could proceed. Seeking to finally resolve the years-long litigation, the state’s legal foes are now turning their attention to 2013, when lawmakers adopted the court-drawn districts still in place. And in a weeklong trial that could shake up House and Congressional races across Texas, minority groups are trying to prove the Legislature’s maneuver — part of Republican leaders’ efforts to halt the redistricting challenge — was yet another effort to minimize the political clout of voters of color. Lichtman testified Wednesday that lawmakers, using rare “procedural deviations,” did everything in their power to avoid fixing alleged discrimination on the congressional map that carried over from 2011. Questions of intentional discrimination loom large in this latest court fight. That’s in part because such findings could catapult Texas back onto the list of governments needing federal permission to change their election laws. More immediately, however, a fresh ruling of knowing discrimination would undercut the state’s latest argument in preserving the status quo: that it can’t be penalized for following the court’s wisdom and making its temporary maps permanent. Lawyers for Texas Attorney General Ken Paxton sought to discredit Lichtman’s testimony on Wednesday, portraying him as an out-of-stater with little intimate knowledge of Texas — let alone the intent of its lawmakers. Lichtman, who has analyzed legislative intent for redistricting schemes in several states, said you don’t “get anything of value” from interviewing self-interested lawmakers about their past decisions. Gov. Greg Abbott bears some responsibility for the controversial redistricting maneuver in 2013. In the middle of that year’s legislative session, Abbott, then state attorney general, asked state leaders to push the Legislature to enact the court-drawn maps. After the Legislature gaveled out that May without acting on the maps. then-Gov. Rick Perry, at Abbott’s urging, immediately called lawmakers back to approve the maps during a special session. Months earlier, a federal court in Washington, D.C. had rejected the state’s 2011 maps because they didn’t comply with the Voting Rights Act and failed to protect minority voters. But by then, the state had already held primary elections under the San Antonio court’s interim maps. Civil rights groups argue the state should have considered fixes to those problems, and they argue judges, in tweaking the map in 2012, told lawmakers the boundaries were meant to be temporary and not reflective of their final judgment of the map. Plaintiffs also point out some of district boundaries on the current maps are identical to those on the 2011 map that the panel here flagged as discriminatory this spring. “There are reasonable means that were not taken, or even considered to remedy” the situation, Lichtman testified Wednesday. Earlier in the week, Democratic lawmakers painted a similar picture of 2013, suggesting information was scarce and speed seemed to be everything. “It left me with the impression of: What exactly are we doing?” former state Rep. Trey Martinez Fischer told the court on Monday. A member of the House Redistricting Committee in 2013, Martinez Fischer said it quickly became clear that the Republican majority had no intention of improving the maps. He offered up as an example that any proposal to create a district in which minorities could elect their candidate of choice was rebuffed “no matter who offered” it. Those not on the redistricting committee were largely kept in the dark, state Rep. Eric Johnson, D-Dallas, testified on Tuesday. The House Redistricting Committee did not solicit his input on the Dallas County portion of the map, and a proposal for a congressional map that created a Latino opportunity district in North Texas was never acted upon, he added. “I have no idea what was being done in 2013,” Johnson told the court. He added that the Legislature’s typical course of action when considering legislation — bringing in knowledgeable folks and those who have a stake in a situation lawmakers seek to improve — was nonexistent. “I remember there not being a process at all,” he said. Republican lawmakers’ unwillingness to improve the map for minorities was so apparent that Johnson said he skipped the floor proceedings when the map was approved to attend a conference of minority caucus groups. State attorneys, meanwhile, sought to tamp down a narrative that there was any intent to discriminate. Their most pointed attempt came during their cross-examination of Johnson, when a state attorney repeatedly asked the Democratic lawmaker if it was possible the 93 lawmakers who voted for the maps could have been motivated by a “desire to protect Republican districts” or other “politically-motivated reasons.” A state attorney also asked Johnson if it was possible that partisanship was the “primary motivating factor” for lawmakers in supporting ratification of the map. Texas needs the court to side with them on those arguments to avoid the possibility of a return to federal oversight of its election laws. As part of a 2013 decision that gutted the Voting Rights Act, the U.S. Supreme Court freed Texas from a process known as preclearance, under which federal courts or the U.S. Department of Justice have to sign off on state changes to election and voting laws. But they left open the possibility that states could be bailed back in if there’s enough evidence of intentional discrimination against people of color. The San Antonio court’s previous rulings have raised the prospect that Texas could face a voting rights reckoning and a return to electoral guardianship. The judges are expected to hear from Republican lawmakers later in the week. The trial is expected to conclude on Friday or Saturday.